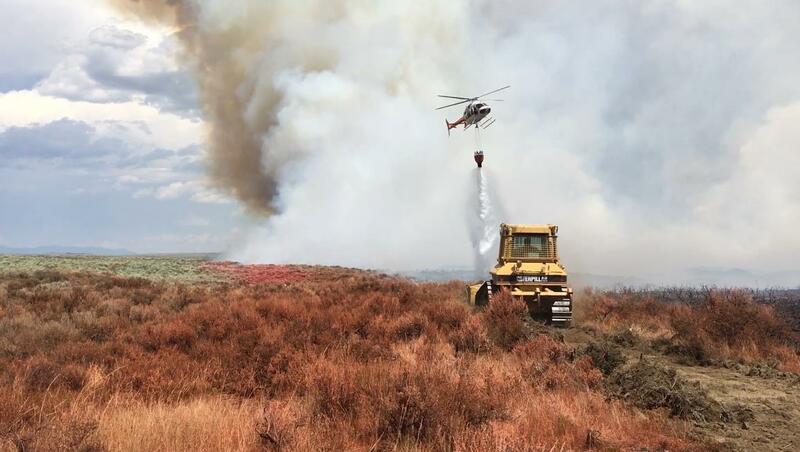 For Immediate Release: July 27, 2018 9:30 p.m.
Fire Crews/Resources: 10 engines (BLM, USFS, BIA, IDL), multiple county and rural fire departments are assisting, 1 handcrew and 4 dozers. Multiple retardant drops were made by very large air tankers and single engine air tankers. Closures: Red Road is closed from the sand dunes to the Kilgore Road. Summary: The Grassy Ridge Fire started on 7/26/18 at approximately 3 p.m. off the Red Road. The fire is burning very actively to the north and continues to shift depending on wind direction. Dozers worked in tandem with air resources and engines to line the fire. 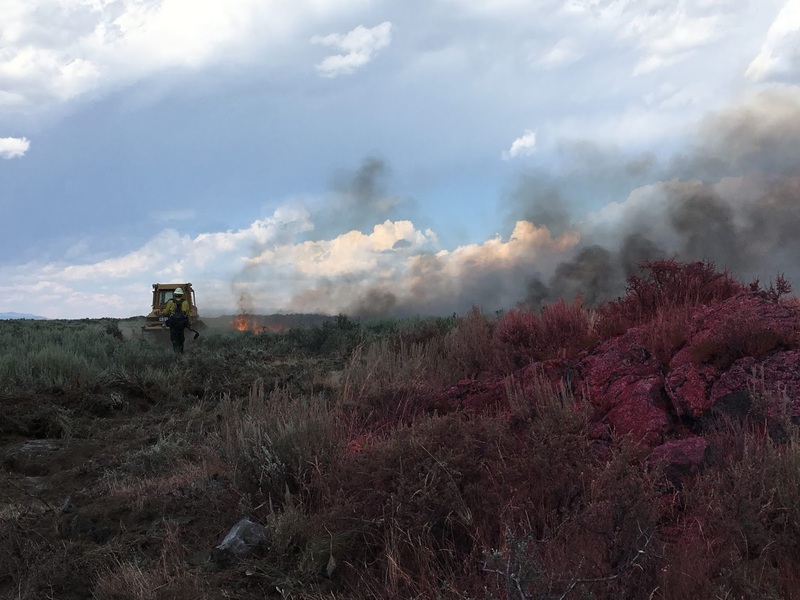 Firefighters conducted burn out operations in the evening to slow the fire’s progress. Firefighters will continue to work to keep the fire west of Red Road and secure the fire perimeter.